Boatbirder.com: More Signs Of Spring! Spent the weekend on the home patch and it came as a real shock this morning when I emerged to find an inch of snow lying on the pontoon! 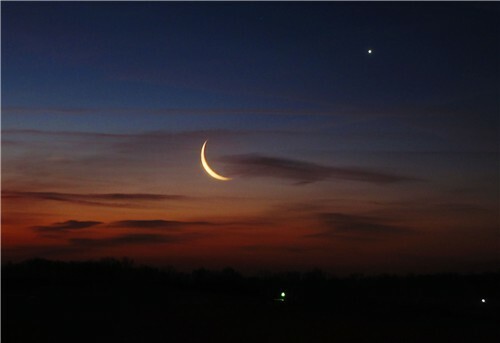 However, the bonus of a cold and frosty night was the stunning sight of a waning crescent moon just appearing over the horizon to the east. As normal when I'm on the home patch I spend the bulk of my time down at Brandon Marsh and this weekend was no exception and there are definitely more signs of spring. The highlight of today however was unbelievably my first sighting this year of a Bittern. Although I recorded one at Tichwell in January I hadn't connected with any at Brandon, this despite the endless time spent on the reserve both birding and working. Glad to get that monkey off my back! It's very noticeable now when your out and about that the resident birds are already beginning to pair up. 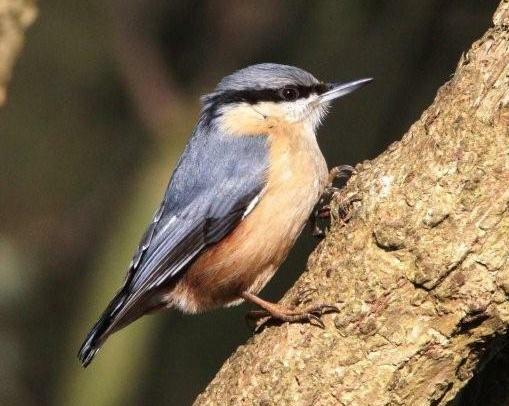 Several sightings of Treecreeper, Nuthatch and Bullfinch over the weekend were all of paired birds. The ♂Pintail which arrived late last week has now been joined by a female and we've also had a pair of Goldeneye on site since the pools thawed. The Brandon Robins are now beginning to sort their territories too, becoming more aggressive towards each other, and no less than 5 Great Spotted Woodpeckers were heard drumming today on the lookout for a mate. 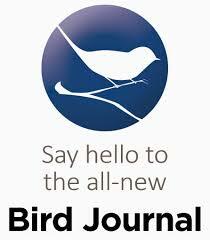 The first Oystercatcher of the year was reported on Friday and sightings of Kingfisher are also on the increase. 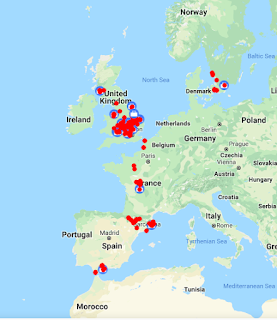 In another 3/4 weeks the first Ringed Plovers are set to arrive, closely followed its hoped by Little Ringed Plover and Redshank, and dare I say it, but my first Sand Martin was recorded last year on March 18th, so I'm getting very excited already. More signs of birds on the move and if your a regular follower of the five BTO Cuckoo's you'll know that Kasper has now begun to move north 950 miles from his wintering grounds in Africa. I've been fascinated by these guys and their blogs are well worth a read, particularly now they appear to be on the move. Finally, a quick run down of today's personal numbers at Brandon which included of note: Pintail (♂♀), Goldeneye (♂♀), Pochard (10), Gadwall (8), Barnacle Goose (1), Kingfisher (2), Treecreeper (6), Nuthatch (2), Goldcrest (2), Lesser Redpoll (11), Siskin (4), Great Spotted Woodpecker (6), Snipe (14), Great-crested Grebe (1), Shelduck (1), Wigeon (3), Water Rail (1), Cetti's Warbler (3 heard). Also of note on Saturday's visit were 2 Little Grebe on West Marsh and on arrival today at least 500+ mixed flock of Thrushes which emerged from Willow Wood, probably made up of mostly Redwing and Fieldfare.